It’s late winter. Maybe you’ve started your seeds indoors, but it will be several more weeks before those frost-free days when you can get them in the ground. 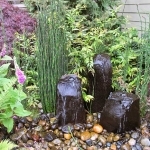 Maybe you’re browsing through those plant catalogs or websites and making plans for some additions to your landscape. There’s more you can do now – some spring garden prep – during this “calm before the storm” to set you up well for a landscape in top shape. Here’s a list of the Top Ten things I do this time of year to prepare for the busy planting season. 1. Prune for Structure and Shape. I spend a lot of time – now – walking around my property to observe the overall structure of my trees, plants, and shrubs. This is especially important, for maintaining my trees & shrubs with pruning. This post-winter/pre-spring period is the perfect time to prune deciduous trees and shrubs for health and beauty. Plants are still in dormancy, so the cuts don’t stimulate new growth. First thing first: I don’t like to selectively prune out more than one-third of a tree or shrub at one time. In other words, the material I remove overall is one third or less of the plant. Taking more than that – unless I’m removing dead material – could be too stressful for the plant. Pruning in late winter or early spring will showcase trees and shrubs in their best light, all through the year. Taking time to look at my plants and trees before they’ve leafed out is the best time to check for any inward growth which needs to be cleaned out. Promote outward-growing branches to allow air flow and light to reach the center-most areas of your plant. I also look for crossing or parallel tree branches, which should be removed. 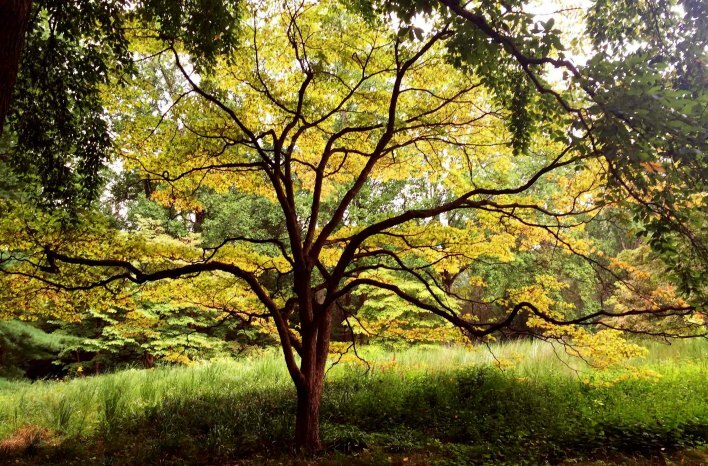 This time of year, I look at my trees and shrubs as art pieces, pruning for form and shape. Pruning is part art as well as part science. If your plant looks good now, without foliage, it will look great once it is in full leaf and bloom. I’ll admit, I spend a lot of time in my tree canopies this time of year. Climbing up into my trees carries some risk, so I’ll often hire – and strongly recommend – a certified arborist. They have the proper equipment and the knowledge to safely and appropriately prune those tall trees. I’ve got lots of tips and advice on pruning, and it’s just too much to cover in this episode. If you want to learn where and how to make those cuts, you can listen and read all about pruning on my earlier podcast and post. I’ve also posted some great video information on my YouTube channel. A word of pruning caution: Some flowering shrubs should not be pruned during this period. Great examples of these are oak leaf hydrangeas, rhododendron, and azaleas – all of which set their flower buds on old wood. If growth from last season or earlier are pruned now, you will also be removing the flower buds and will reduce the shrub’s bloom quantity come summer. For plants that set buds on old wood (and there are many resources online that can help you discover which these are), it’s best to prune right after they finish flowering. That way, you’re removing growth before the plant has a chance to set those new flower buds for the following season. For the many flowering shrubs that set their buds on new growth, this time of year is the ideal pruning opportunity. 2. Plant Trees & Shrubs Now. I recommend Fall as the best time to plant or transplant, but this time of year is your next best option. The cooler weather allows plants the most time to spread those roots and get comfortable in their new environment before the stressors of summer heat. 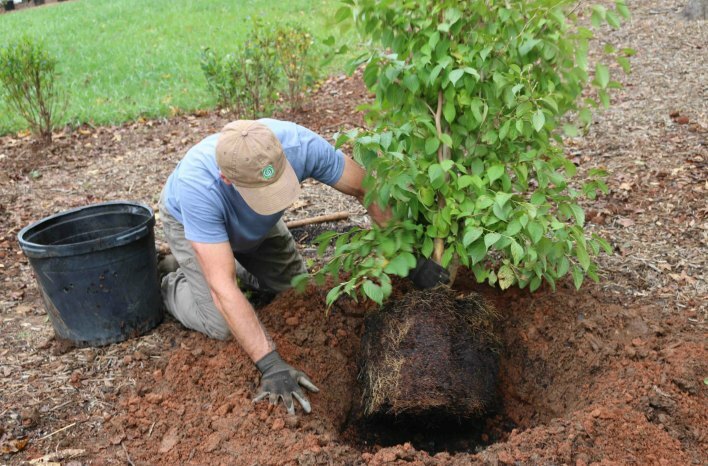 Planting trees and shrubs in fall and winter offer the maximum amount of time for them to establish before the stresses of summer. If there is a plant you wanted to move or transplant last season but didn’t get around to it, now is your chance to dig it up and introduce it to a new location. As always when planting, be sure to water everything in well to remove air pockets, settle the soil around the roots, and keep the soil moist. I’ve written and recorded my fair share on best planting practices. I’ve got some posts here, on joegardener.com, that you can find by searching for “planting” and a great one to get you started is my 5 Steps for Planting post and video, or you can also watch the process on my YouTube channel. 3. Add Mulch. This is the perfect time to get that mulch down. A key benefit to mulch is weed suppression, so setting up that mulch barrier now will save you weeding time during the growing season. If your beds aren’t planted tightly enough to prevent the sun from reaching the soil or if you have any open areas, a 2” (or deeper) layer of mulch will block the sun from germinating those weed seeds. Adding mulch around trees and shrubs helps reduce weeds and retain moisture in the soil. Mulch also reduces soil erosion from heavy rain and will insulate soil from summer heat – which helps keep the soil moist and reduces the need for supplemental watering. This time of year, it’s also much easier to get underneath your plants to spread that mulch. I recommend spreading up to within a couple of inches of the base of the plant. 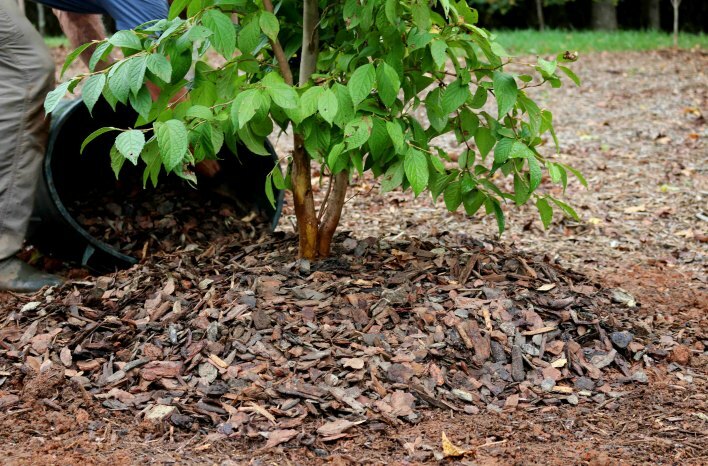 It’s best not to push the mulch up along the trunk, as that can create an easier path for pests and disease. 4. Tackle Structural Projects. Any of those big projects which have been on your mind but you haven’t gotten around to doing them? Now is the time! For example: adding a new walkway, a retaining wall, a water feature, or — in my case — a deer fence. 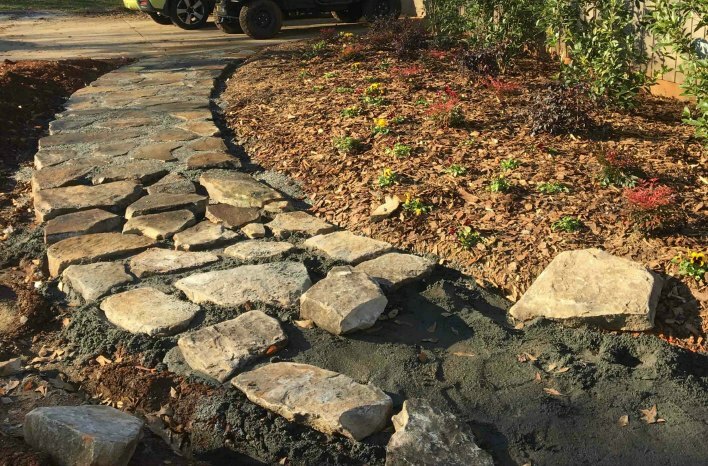 Winter is a great time to get projects completed, such as this garden pathway before the active growing season begins. By tackling that project now, you won’t have to worry about it during the busy growing season. Instead, you’ll have the rest of the year to enjoy the fruits of this season’s labor. 5. Divide Perennials. As temperatures and the soil first start to warm up, perennials like your hostas will begin to emerge. Those perennials (which have matured in previous seasons) can easily be divided to add a lot more plants – for free – to other areas of your landscape. Use a sharp shovel or spade, and cut down through the center of the plant. Dig up a section, and plant it in another area of your landscape. This time of year is ideal for that, allowing the divisions to take hold before summer. 6. Tune-up Irrigation Systems. Whether it’s your in-ground lawn irrigation or your drip or soaker system, they all need to be checked. Although it may be too cold to turn the water on, watch for that first or second warm weekend when you can test out your system in advance of the planting season. For in-ground systems, you’ll want to check that the rotors are turning properly, that the flow patterns are correct, that the timer is programmed as it should be, etc. It’s easy to forget that those winter power outages can cause your timer to reset. 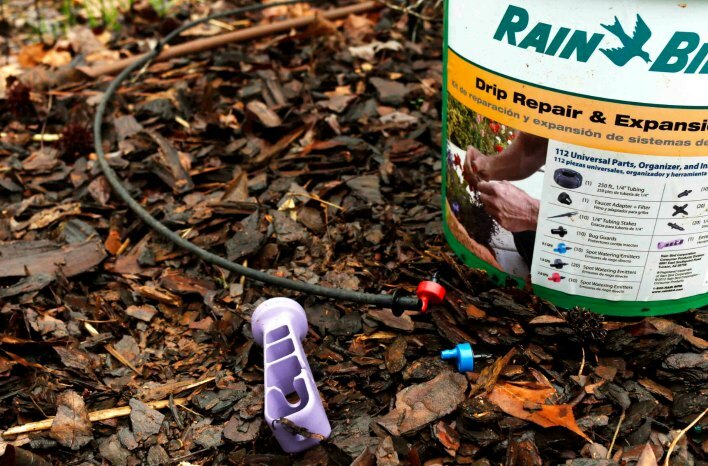 Drip irrigation repair kits make any fix an easy task in the field. Identifying and solving problems now pays big dividends in spring. Take the time now to check your drip irrigation and soaker hose connections and emitter heads and that the lines are where they need to be. If there was any water in your plastic timer when you experienced a freeze in early winter, it’s better to discover now that those timers may need replacing. 7. Prep Garden Beds. Every March, I clear out and clean up my raised garden beds. I live in Atlanta, so I can grow crops all year round. This time of year, I’m clearing out the remains of my cool season crops and preparing for my warm season varieties. I take out the old growth and add it to my compost pile. I’ll rake out most of the debris. In other words, I’m getting the beds ready to amend their soil before planting. 8. Amend Your Soil. I love this part. I amend my soil with compost twice each year. The first time is typically in March to plant I’ve taken Step 7 of clearing out and cleaning up. The second time is in fall when I’m clearing out and cleaning up my summer crops to prepare planting for my cool season vegetables. The fun just never ends. I’m adding compost a few weeks before I will be planting. This allows time for the soil microbes and all the other beneficial organisms to work with the biology already at work in your beds. Those new beneficial organisms have time to reproduce, and you will really see the payoff in your plants. To amend my soil, I add about one inch of compost to the surface of all my raised beds. I may turn that compost into the existing soil, but I usually just let the compost sit on top. I have really healthy soil, and there is a lot of good things going on under the surface already. So, I don’t want to disturb that. I can let the microbes work that new compost in on their own. When I’m improving my soil in fall, I use up all the compost I’ve built up over the spring and summer. I continue to make new compost throughout the winter, and I use that compost now. If I don’t have enough finished compost on-hand, I will often purchase some bags or a bulk load of certified compost. If you do purchase compost, be sure that what you are buying is reliable and safe to add to your garden. It’s so important to trust your compost source. I’ve learned the hard way that one application of tainted compost can have long-term consequences. Think of your raised beds like a bank account. Your plants are making soil withdrawals, so you need to be making soil health deposits. The year you built your raised beds, and you filled them with that good soil you purchased, you probably had a good crop. If you amended your soil for that second year, you probably noticed your garden was even better. By that third year, you were really seeing great results. That’s because amended soil continues to mature – like fine wine – getting better and better. Notice, I said, “amended soil continues to mature.” Each time you amend the soil with organic material, you build on the soil maturity of the previous season. 9. Attend to Your Compost Bin. 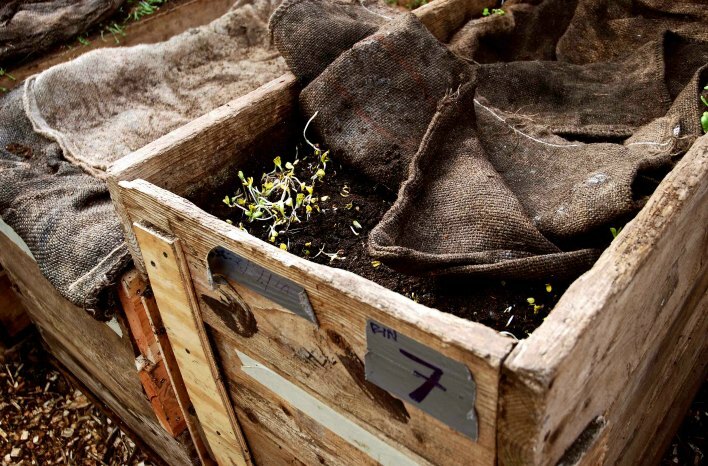 You’ve probably just harvested a lot of compost material in Step 7. 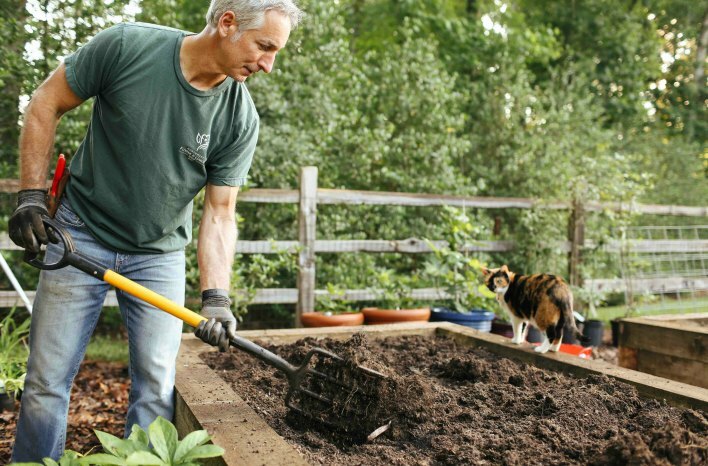 Take the time now to get organized and ensure you have the proper and efficient compost set-up. With so much to do once spring arrives and it’s time to plant, having your composting system ready to go is an important step in the preparation process. Check out my compost podcast and my free comprehensive Compost Resource Guide, where I dive into all you need to know to make composting easy and bountiful. 10. Prepare Your Tools. 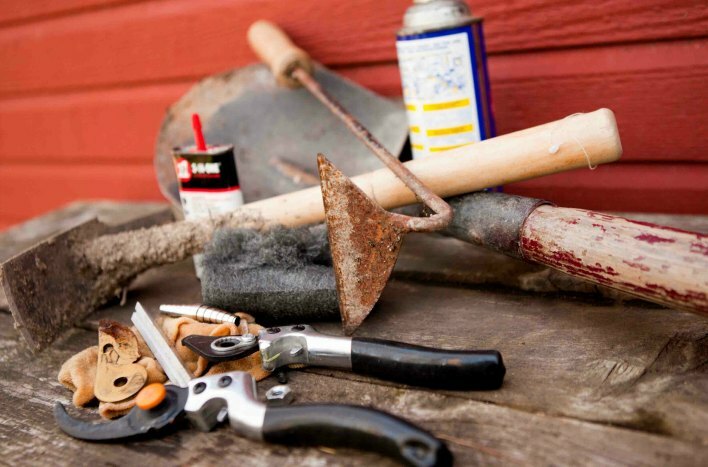 Your garden tools need to be in top condition to help you be successful throughout the season. 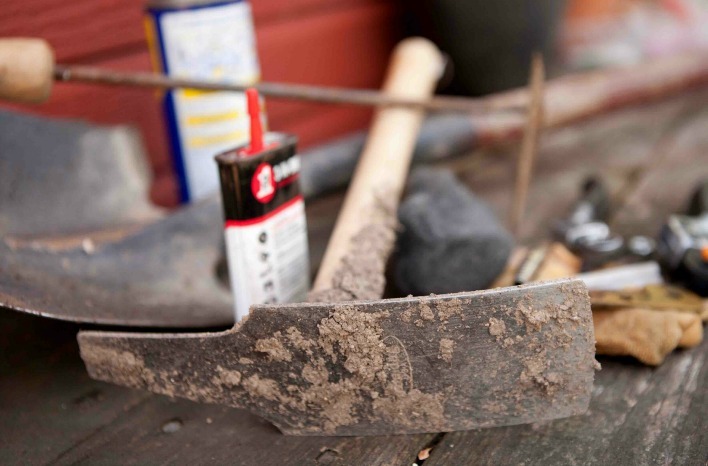 Clean off the rust, the grime, and the residue from your pruners, the blades on shovels, etc. Most good pruners are made with the ability to buy and install replacement parts or – at a minimum – sharpen the blade. Pruning with a dull blade is the worst thing you can do to your plants. Rather than a clean cut, which heals quickly and promotes growth, you will end up with a tear or a wound and create the opportunity for disease. Use some steel wool and some oil to sharpen your shovels, so that they are at the ready for this season. For those tools with a wooden handle, I recommend a light sanding with fine-grit sandpaper. Run the sandpaper up the handle a bit, and then, rub a little linseed oil into the wood. I’m a frugal gardener, but I also believe you get what you pay for. Invest in quality tools, and invest the time to care for them properly. They will last you a lifetime. Don’t forget to clean up that tool shed. Sometimes things don’t always make it back to home base when you are really busy during growing season. This is the time to put everything back in its place. If you have a peg board or other flat surface where you can hang your tools, I recommend outlining the tool with a marker. The outline provides a visual reminder when the tool hasn’t been put back. You’ll know what’s missing, so you can go and find where you left it. So, there’s my list of Top Ten things to do for garden preparation. This is not an exhaustive list of all you need to do to prepare, but it is a high-level idea list to get you started. If you haven’t already done so, you may want to listen to the podcast (linked at the top of the page) where I share a few other personal experiences. Stay tuned for the next several weeks for my upcoming podcast on raised bed gardening and my comprehensive resource guide on the subject. I’ve been gardening in raised beds for many years now; so I’ll be sharing my experiences, providing advice on what I’ve learned, and offering all the information I can to help you develop bountiful raised beds. Because I’ve been doing this so long, I know there are some things that I take for granted. I would really love to hear any questions that you would like me to be sure to answer in my raised bed resources. 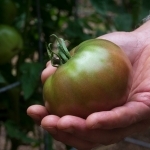 You can email me directly your raised bed garden question. It’s important to me to answer all your questions, so I look forward to hearing from you.